The Razer Experience Tour will stop at some of the nation’s best gaming conventions, concerts, and colleges, bringing a new Razer experience to fans nationwide. 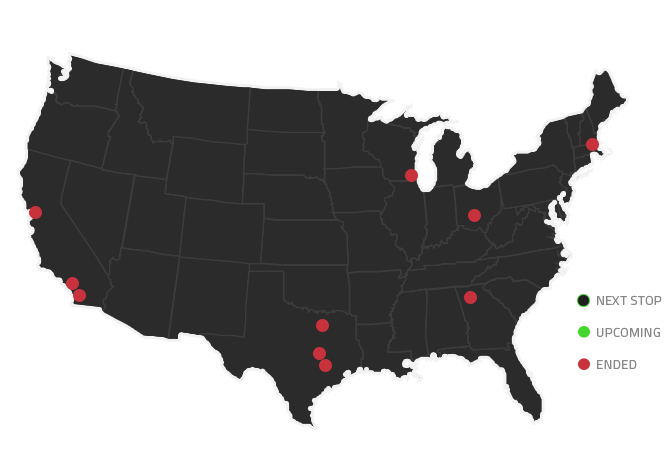 Check out the map below to see when and where you can find the #RazerTour this year! 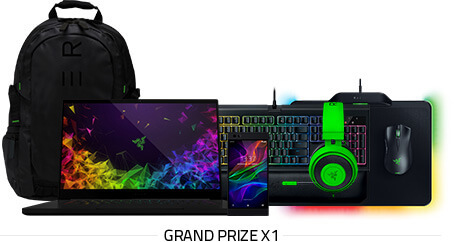 Visit razertourgiveaway.com for your chance to win the prizes below! At just 0.66” thin, the award-winning gaming laptop is now even more compact, but fully packed with features for incredible performance. Plus, with a larger 15.6” edge-to-edge display and a 144Hz refresh rate, you can enjoy gaming and streaming on a fast, vivid screen. Sporting the world’s first 120Hz display with Ultramotion technology for super smooth gaming, dual front-firing speakers tuned with Dolby for wicked loud audio, and a huge 4,000mAh battery that lasts all day, the Razer Phone was built for a phenomenal mobile gaming experience. BUY A RAZER BLADE LAPTOP. RECEIVE A GIFT ON US.